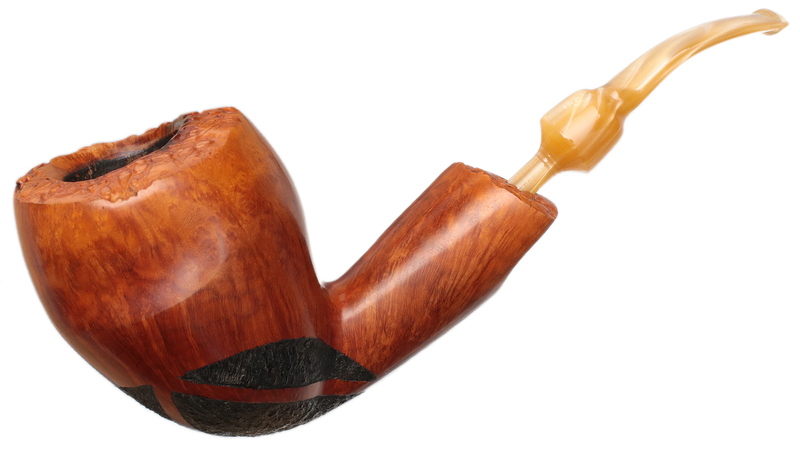 Quite the large, Freehand-esque Acorn from Bjarne, this briar is a handful with plenty of chamber making it a worthy candidate for a comforting house pipe. The upper bowl and end of the shank both feature a slight, accenting dimple, while the heel is adorned with dark-stained, spot carved patterns. Bowl Height: 2.98 in./75.69 mm. Chamber Depth: 2.50 in./63.50 mm. Chamber Diameter: 1.09 in./27.69 mm. Outside Diameter: 2.53 in./64.26 mm.